The Township of Pepin is located in Pepin County in West Central Wisconsin. Lake Pepin, the widest naturally occurring part of the Mississippi River, forms a southern border. 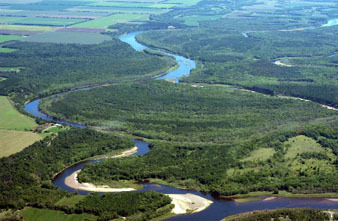 The Chippewa River borders the eastern boundary. ​To the north Frankfort Township of Pepin County and Maiden Rock Township of Pierce County are found on the map. Stockholm Township forms a western border. Pierce and Dunn County are located to the west and north and Buffalo County is located across the Chippewa River as our eastern neighbor. Within our town, you will encounter a beautiful, rural setting of single family homes and family farms intermingled among our many lakes and streams. The Town of Pepin is a great place to enjoy country living and raise a family!